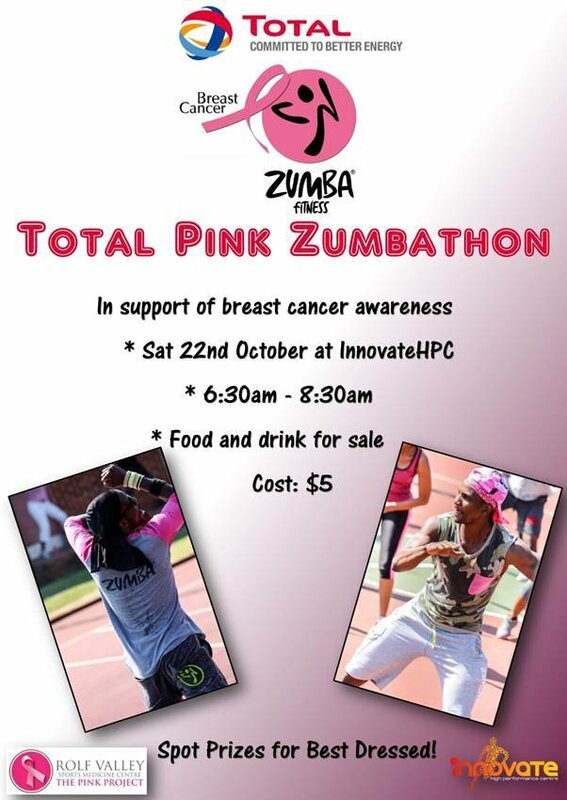 Come and enjoy Zumba Fitness Total Pink Zumbathon in support of breast cancer awareness. ​ Sat 22 October 2016 at Innovate HPC. 6:30am- 8:30am. Spot prizes for best dressed.